Due to thinking about Fraxy at work (what I was thinking about is related to the contest but unimportant), I present you folks with the Remake Challenge. Ignis Vulpes v1.0; Aqua Lupus (v1.0); Aqua Lupus (v2.0/2.5); Pyro Core; FQ-MkI (full); FQ-MkI (mech); Fulgur Aquila; Silicis Macropus; Umbra Lynx; Xiphias Gladius; Effigies Phoenix; Junk I.A.R.D. Mr.Shine & Mr.Bright are NOT electable, neither their 2nd phases. - Can be made into a TRY. 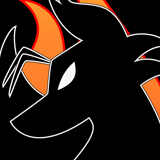 - Must follow the theme of the elected boss; meaning that if you choose Ignis Vulpes v1.0, the boss should ressemble a fox and use fire at some point of the battle. - Excessive Danmaku / Spam will NOT be penalized, regardless of bullet count difference from the original boss. - The boss can either be made from scratch, use the original design or use parts from the original design. - No attack limit. Attacks don't have to be similar to the original's. 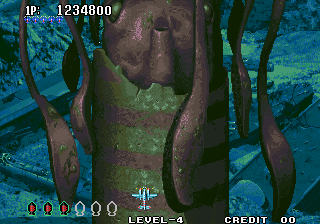 - Bosses can be given new phases and/or forms, or have some taken out. - More than one person can choose to remake the same boss. Bosses may NOT be submitted past 23:00 GMT of Saturday, 5th of November of 2011. A poll will be put up after the deadline for everyone to vote, and closed (at latest) six days after the deadline. The winner will get something made by me under the conditions he/she/it desires. Said 'something' can be a boss, a drawing, a comic, or anything that I might be able to provide. If I am unable to provide what I am asked, a different 'something' will have to be choosen. Firefox11 wrote: The winner will get something made by me under the conditions he/she/it desires. Said 'something' can be a boss, a drawing, a comic, or anything that I might be able to provide. Firefox11 wrote: If I am unable to provide what I am asked, a different 'something' will have to be choosen. Before you ask, real life pictures of me aren't something I can provide. 1) There's no need to post here to announce you are taking part in the contest. 2) Likewise, in the event that you want to post to announce anything contest-related, please do NOT state which will be the prize you will ask for. Said request should remain secret to public until I finish and release it. This whole paranoia is due to my 'hate' to hype. Is there a reason Mr Shine and Mr Bright aren't allowed o_0? Mr. Shine and Mr. Bright are already a remake and not an original creation. One could argue that Pyro Core is a remake too, but it's way less accurate than Mr. Shine and Mr. Bright due to the nature of the character it is influenced by. Umm...not to sound troll-ish here, but...technically, we can't REmake that boss because...well...as far as I know, you still haven't finished it. A word of warning: I don't tolerate laziness. This is Kyodai-Yaseki. It is a RIDICULOUSLY HUGE belemnite. And it is EPIC WIN. ......The pic's from Aero Fighters 3. The video for the 'canon' forms is out. In case someone wanted to remake Xiphias Gladius, said person would have to remake it from scratch.